Miles Davis is cool. In fact, he epitomizes the word cool. Confirmation? Forget his incredible discography, I'm talking about that classic moment in Adam Sandler's monumental film, Billy Madison, when Billy instills hope in a bladder-challenged kid by telling him peeing your pants is cool. An old lady then quips, "If peeing your pants is cool, then consider me Miles Davis." This first photo of Don Cheadle as Miles Davis in Miles Ahead , the Miles Davis biopic, is pretty darn cool, too. Cheadle looks awesome. Now, this movie is obviously about more than my encyclopedic knowledge of Adam Sandler's filmography. This is about Cheadle's work on the film. It's a total passion project that involves more than just his impressive acting chops. 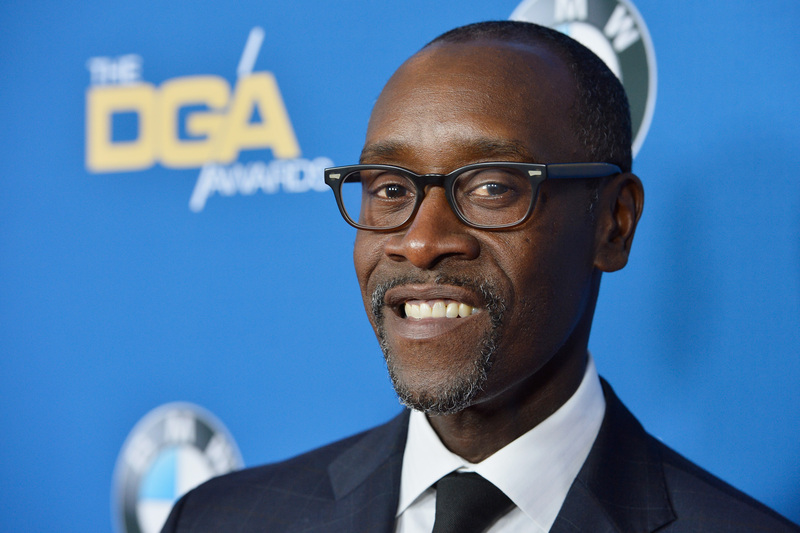 Cheadle has actually been crowdfunding the movie on Indiegogo — he hasn't reached his goal of $325,000, but he has received some help from Davis's family. You can still contribute, though, and maybe this photo will inspire you to do so. On top of taking on the challenge of playing Miles Davis, he's also directing the film. The House of Lies actor also has Davis's children's approval to play the famous trumpet player, making it a completely authorized film. All of the passion that's going into making this happen? Now that's pretty cool. You know, like Miles Davis.